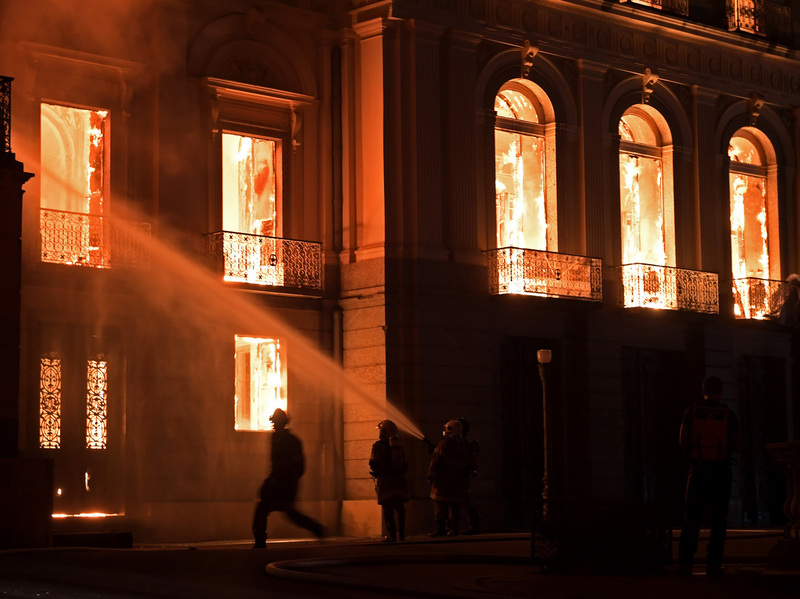 In Brazil's National Museum Fire, Officials Fear 'Incalculable' Loss Of Artifacts The blaze started Sunday night, spreading through the 200-year-old building and engulfing some of its 20 million artifacts. 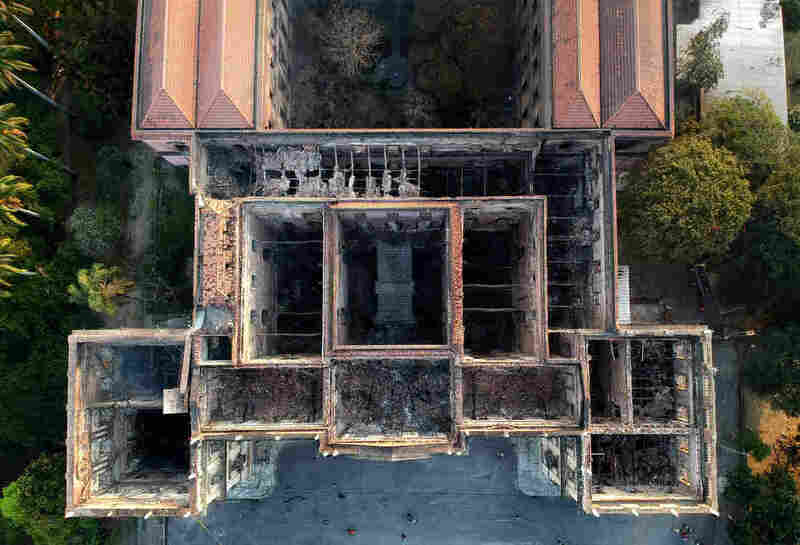 Drone view of Rio de Janeiro's treasured National Museum, one of Brazil's oldest, on September 3, 2018, a day after a massive fire ripped through the building. Brazilian President Michel Temer called the damage an "incalculable" loss for the country. "Two hundred years of work, research and knowledge have been lost," he said in a tweet Sunday. 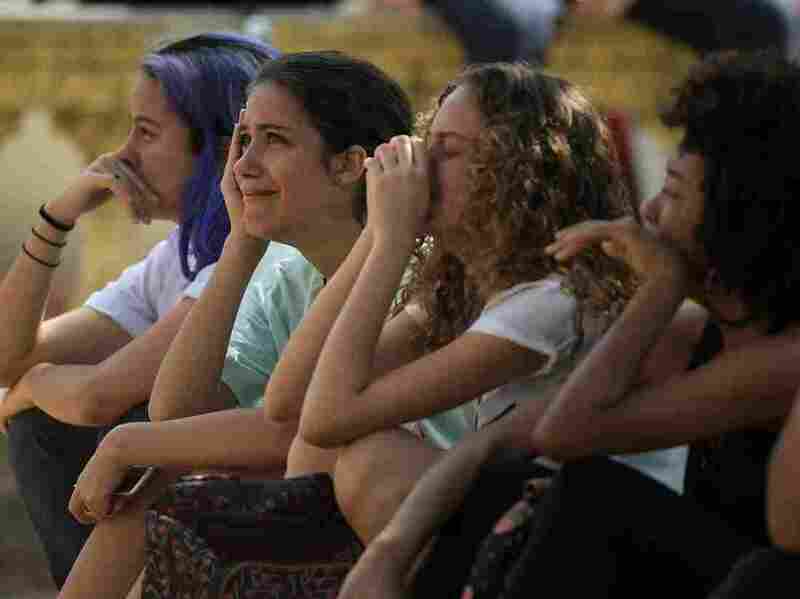 "It's a sad day for all Brazilians." Firefighters worked for hours to fight the flames, using water from a nearby lake because two hydrants weren't working, a fire official said. Firefighters were slow to fight the blaze because two hydrants near the museum weren't working, a fire official told media. They had to use water from a nearby lake. Staff say the museum was chronically underfunded. Vice director Luiz Duarte told O Globo, "We have never had efficient and urgent support." He also said the museum had been guaranteed about $5 million from the Brazilian government's development bank, with some money allocated for fire prevention. The staff had just gone through fire training and arranged for flammable items, such as animals kept in bottles with alcohol and formaldehyde, to be removed from the building. "The most terrible irony," Duarte reportedly said. 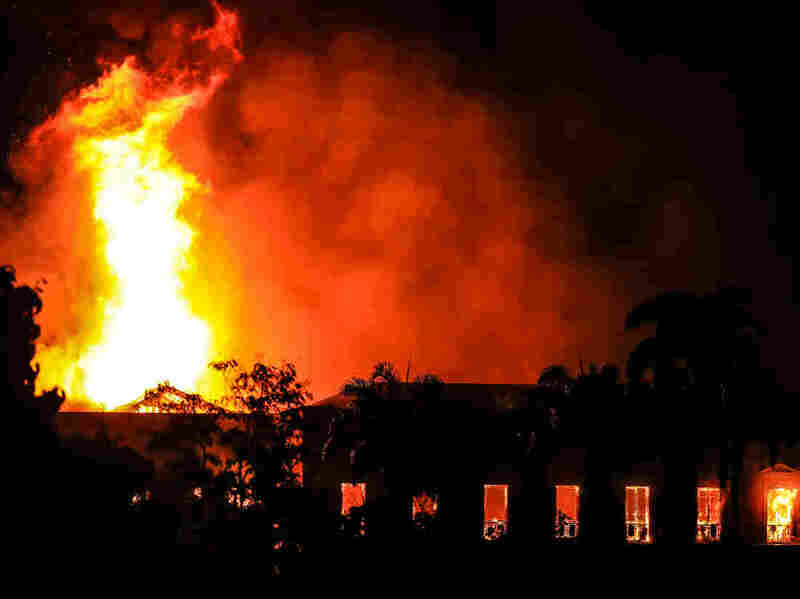 He also told the newspaper that the fire destroyed frescoes of Pompeii, language collections and the entire collection of the Empress Tereza Cristina, who was nicknamed "the Mother of the Brazilians." The fire comes before elections in October, and as the country's economy is suffering. "It's an international catastrophe. It goes beyond 'a sad day,'" Brent Glass, director emeritus of the Smithsonian's National Museum of American History, told NPR. "Everyone in the museum community has to get behind our colleagues in Brazil and see what we could do to help them."